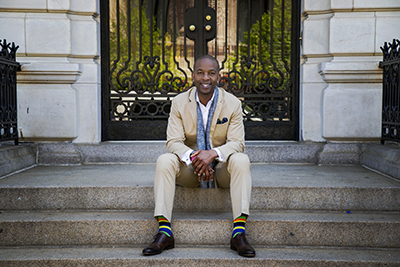 Monday, March 5, former NFL player Wade A. Davis II will present “Overcoming Homophobia in American Sports” at 5:30 p.m. in the Carousel Theatre. The event is free and open to the public. In 2012, Wade A. Davis II came out and publicly spoke about what it was like to closeted and gay in the NFL. Since then, he has been an advocate for inclusion in American sports. Davis became the NFL’s first diversity and inclusion consultant in 2014. In this role, he leads inclusion training sessions and national engagement initiatives, including the Hi-Five project, working to further create safe space in sports for LGBT athletes. He is a writer, thought leader, and activist. Davis’s years as a professional athlete, educator, public figure, and pundit all influence his work in diversity and inclusion. Sponsors for this event include Ready for the World, UT Athletics Department, Pride Center, Office of Multicultural Student Life, Black Cultural Programming Committee, Division of Student Life, the College of Arts and Sciences, Women’s, Gender, and Sexuality Studies Program, Department of Theatre, Department of English, and Department of Kinesiology.